Spectacular Lemon hills home within walking distance to Creek Park. Completely remodeled with high end finishes, new windows, new light fixtures, faucets, electrical outlets, designer paint in + out, wide base boards, beautiful engineered wood floors, new carpet, the list goes on and on.! Home shows like a model. Huge living room with beautiful engineered wood floors, recessed lighting and remodeled fireplace is sure to please. Modern brand new kitchen, white shaker cabinets, soft close doors + drawers, sleek quartz counters, full subway tile back splash, stainless steel appliances, is open to family room with access to backyard. Large formal dining room & first floor bedroom with new carpet and a remodeled full bathroom complete the 1st floor. 2nd floor consists of a large master bedroom with new carpet, remodeled bathroom with shower and beautiful fireplace plus two spacious bedrooms with new carpet, paint and large remodeled guest bathroom. Backyard has a large pool with covered patio and huge open area to entertain and enjoy summer barbeques! 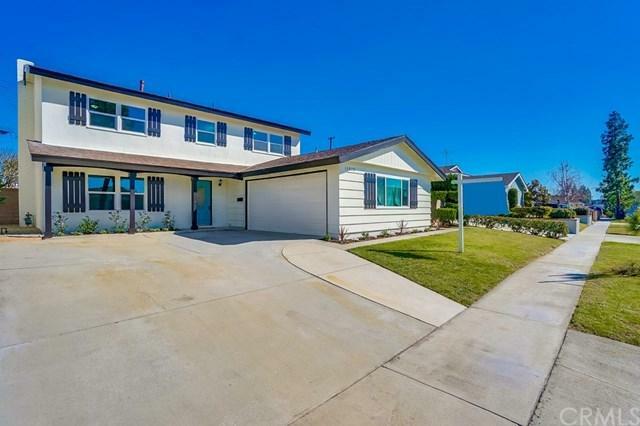 This stunning home is located in the sought after La Serna high school area. This move in ready home will exceed your expectations.